Well it was only the beginning of the year that we bought the pigs a new shed, and laid a concrete pad to fix it to; giving them high, dry ground in the wet season. Whilst the ground doesn’t hold the water, as I’ve seen in some areas. The clay content of the soil does mean it stays rather wet. Now first thing you have to know about pigs is that they are intelligent and curious animals- but ultimately they are vandals! 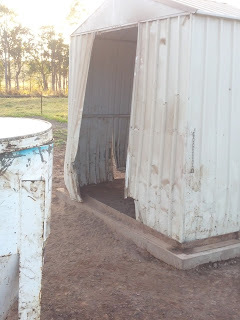 Since the sheds construction, we have had to make a few modifications- including the removal of the door and its frame, for their own safety. And a steel frame around the base to bolt the shed to. As the original anchor points had been torn through the sheeting. The shed has been buckled and bent, but so far we had managed to straighten out most of damage. 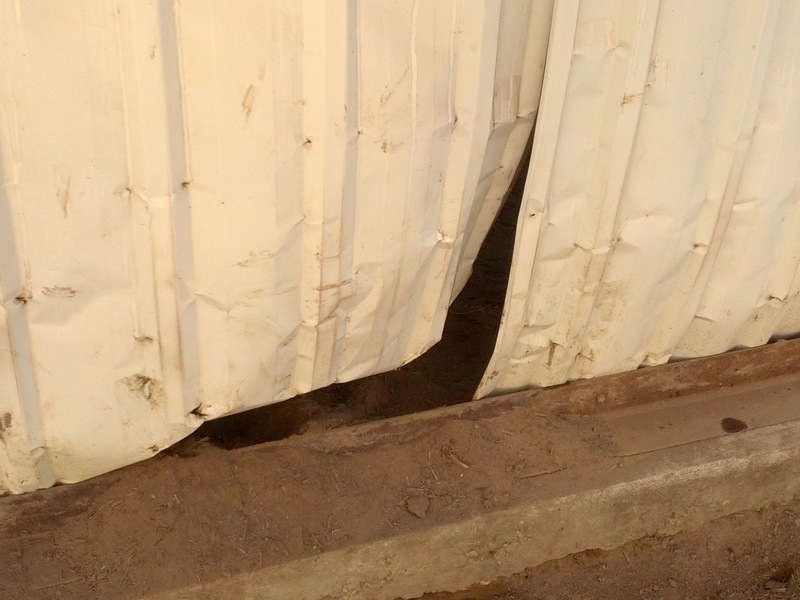 But over the last few weeks Matt had said it wouldn’t be long before we would need to cut off the bottom foot or so and drop the shed down (re bolting it)… This is the pigs most recent attempt. So guess what else we will have to get done this weekend!